The Craft Whiskey Decanter with Stopper is an attractive addition to your home bar or liquor cabinet and it makes a wonderful gift. 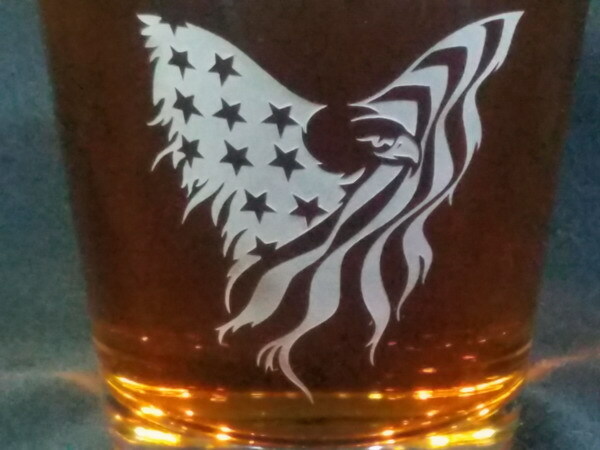 It has great clarity and displays the color of the whiskey handsomely, it also showcases your personalization. 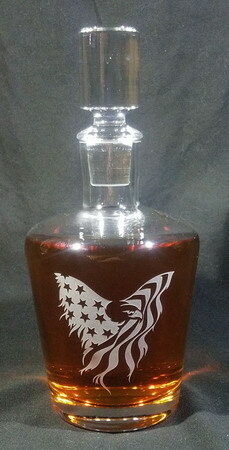 The example decanter has the Eagle Patriotic 1 design, but you are, of course, free to design your own decanter. Please note that this decanter is not for hot liquids and should be hand washed. 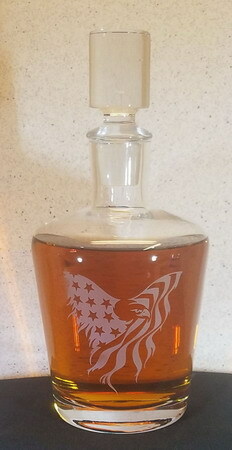 The Craft Whiskey Decanter is manufactured by Libbey.